We board the train in Delhi to travel to Agra. Our tour representatives will offer you the traditional welcome, followed by which are the registration formalities. After, we board the train and have our dinner on board. 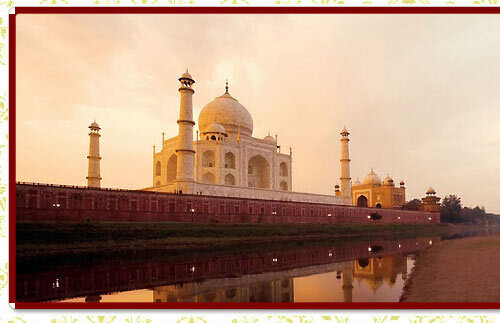 We reach Agra, the City of Mughal Splendour and start our tour with a visit to the world wonder Taj Mahal. If interested, you can taste the delightful and yummy champagne breakfast after an exciting visit to Taj Mahal. The remaining free time can be enjoyed freely, either shopping, sightseeing or rest. Travellers can also opt for an optional tour to Fatehpur Sikri or Itmad-ud-dualah. Further, we can enjoy a delicious lunch with varied varieties. Then, our tour continues to Agra Fort. You will be enticed to enjoy mouth watering cuisines for lunch and dinner on board. Ranathambore - Jaipur - We go on board to an interesting journey into the Ranthambore National Park. 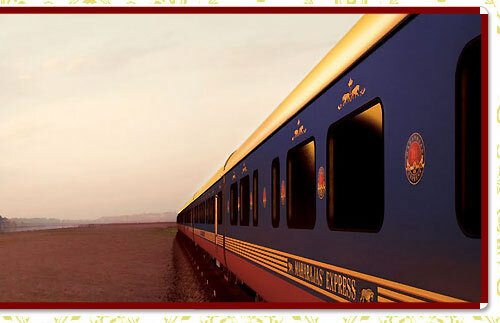 We can quench on hunger for the noon on board onto Jaipur, the Pink City. There, we first visit the Amber Fort and the Elephant Polo Match, the most-trendy exhibition show. As a part of the exhibition visit, you will be offered a Champagne dinner. This place is the right spot for those who love to shop jewels and fine variety textiles. Today, we reach the desert kingdom, the Bikaner. Interested people can take part in the optional excursion ride to the famous rat temple, Deshnok on Lalgrh Palace Museum. You can also visit the Camel breeding farm. You can spend the noon in an interesting and most impressive way with a visit to Junagarh fortress. Active travellers can also take part in various exciting activities such as the camel-cart procession, sundowner cocktails, skilled folk performance on the sand dunes and barbeque preparation. Reach Jodhpur in the morning; refresh yourself and munch the food of your choice. You can either choose to spend the mornings relaxed on board or you can go to the village visit to encounter the lifestyle of local people. Further, we head to walking tour of the Old Clock Tower Market and the royal Mehrangarh Fort. In the night, a pleasant and memorable surprise waiting for you, the exquisite dinner in a delicious outlet. We enjoy our delicious breakfast on board, while sightseeing the most beautiful landscapes of the city. In Udaipur, the City of Lakes, we can visit the City Palace and Crystal Gallery. You can savour the most pleasant hospitality ever during the extravagant lunch. Post lunch, you can feel free to nap, but if interested, you also have a chance to visit the Old Market by walk or you can go to the Vintage Car Collection of the Royal Family. Balasinor - @ Balasinor, we visit the world’s largest Dinosaur Fossil Park, which is sure to impress you. Further, we can relax with local village sightseeing. You will definitely feel honoured to have a lunch with the Royal Family, where you get a chance to taste their native cuisines. Mumbai – We reach Mumbai railway station and end our tour with the final ride in Maharajas' Express after on board breakfast. The tariff of the Maharajas' Express the Indian Splendor tour itinerary includes accommodation, meals, beverages (light drinks, tea, coffee, and mineral water), Indian wines (in house brands), butler service, and porter-age at stations, guided tours and entrance fees at monuments.